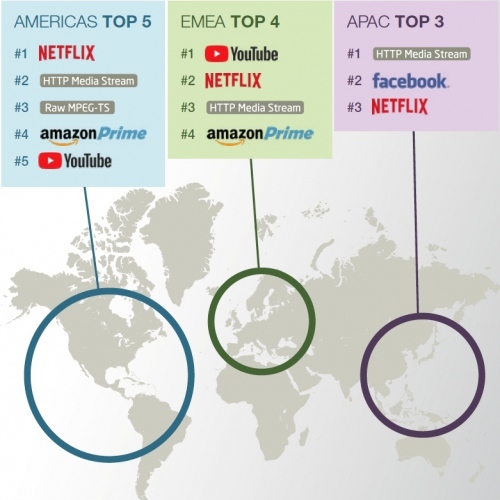 A new report report from Sandvine has revealed that video streaming accounts for 57.69% of global online data traffic, with Netflix alone being responsible for 14.97% of the total downstream volume of traffic across the entire internet. On top of that some 50%+ of all traffic is now encrypted. Nobody will be surprised that internet video traffic is so dominant, particularly given the obvious popularity of such services and the fact that the figures from Sandvine’s latest ‘Global Internet Phenomena 1H 2018‘ report broadly match those from almost every other piece of research on the subject. Today broadband ISPs in the UK and elsewhere are all setup to optimise for such demand as much as possible. 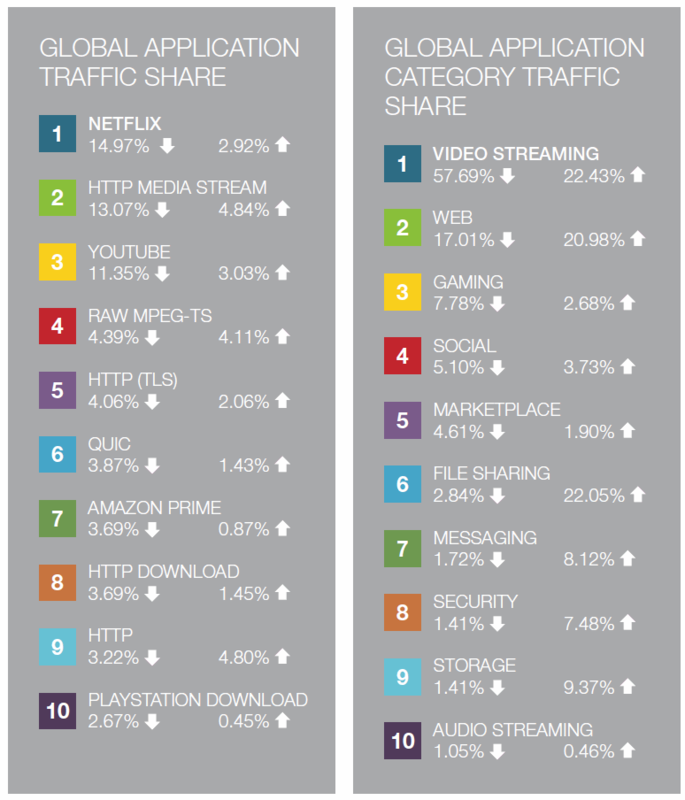 After video traffic it’s noted that web browsing is still the next most popular internet application with a downstream traffic share of 17.01% and gaming (i.e. video games) follows on 7.78%. 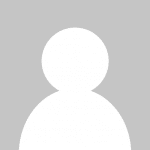 We should point out that with gaming Sandvine are also considering digital distribution (e.g. some downloads are 100GB+) and updates, not only the traffic created while actually playing games (multiplayer alone isn’t usually very bandwidth intensive). Some readers might also be interested to know that File Sharing, which tends to be dominated by BitTorrent’s P2P protocol, is far from dead and accounts for 2.84% of downstream traffic. But if we were to reverse this and look at it in terms up upstream then BitTorrent would account for 22.05% of traffic (or 31% in the Europe, Middle East and Africa region). 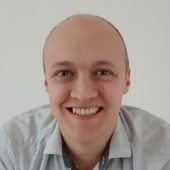 Elsewhere some readers may be interested to learn that the current craze for smart voice assistants isn’t having a huge impact in terms of overall data traffic (audio traffic of this type doesn’t require much bandwidth), with Amazon’s Alexa assistant only accounting for 0.05% of all connections and Apple’s Siri being identical. NOTE: The HTTP Media Stream protocol category is mostly used below to reflect various generic regional streaming providers. Pretty obvious this would happen as people get the faster connections, they buy more smart tvs and move into the digital age. Those on FTTC will often get superfast, and then with more gadgets they will need more and more, and 90% of the country will be screaming for better connections in a few years. Only the few on real fibre will be happy as they can upgrade to their heart’s content. By this time BT global will have cornered the content and mobile markets and openreach will be thrown to the dogs. Watch this space. I’ve asked you to explain what this actually means already. Any chance of it this time? You are saying that BT will ditch Openreach. For what purpose, to what effect?